Snowcoach or Snowmobile to Old Faithful: Hop aboard a unique snowcoach or control your own snowmobile and head to Old Faithful to see 'er blow. 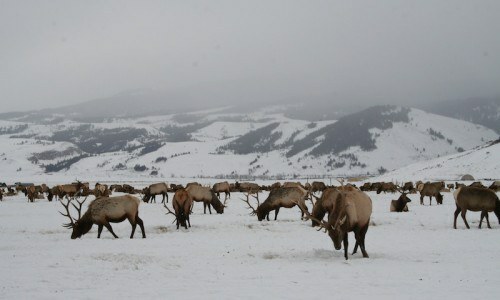 This unique tour features the best of Yellowstone in the winter. Snowshoeing or Snow Biking: Take your pick between a 1/2 day guided snowshoe trip with a naturalist or snowbike (a.k.a. fat bike) tour where you will literally bike on the snow for unique park access and great views. 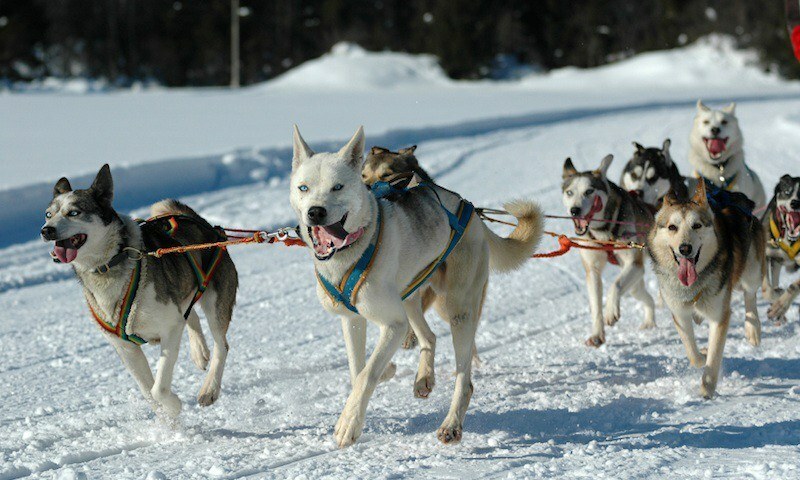 Dog Sledding: This one-of-a-kind full day dog sled adventure features lunch and a soak in Granite Hot Springs. Sleigh Ride: Cover up with some wool blankets and relax in the back of a horse drawn sleigh ride through the National Elk Refuge. You'll come within feet of these amazing creatures and learn a lot from your driver along the way. 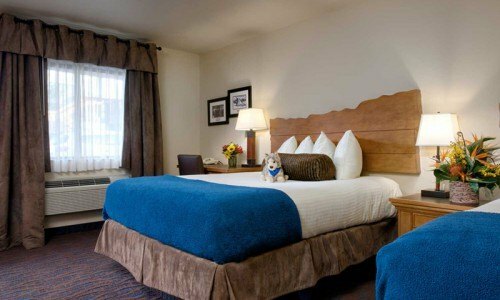 This package is easily customizable and we are dedicated to helping you make the most of your winter vacation in Jackson Hole! 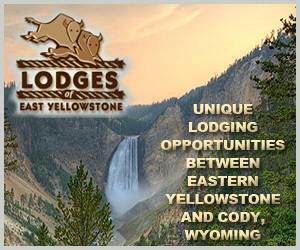 The Old Faithful Tour includes 90 miles of trail riding in Yellowstone, roundtrip. 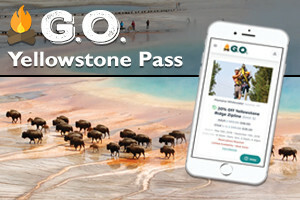 To begin the adventure your Guide will transport you by van 58 miles to Flagg Ranch near the south entrance of Yellowstone which is the starting point for Yellowstone tours. Once you have received safety instructions and park regulations you will get on the snowmobiles to begin your journey to Old Faithful. You want to maintain a steady pace to ensure time for enjoying scenic stops at Lewis Falls, West Thumb and the Continental Divide. 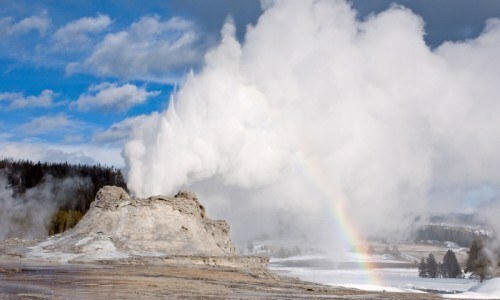 Refuel with hot beef, chicken, or veggie stew lunch timed around the predicted eruption of Old Faithful. The return trip will allow views of the Shoshone Overlook, Kepler Cascades, and Moose Falls for additional photo opportunities. Approximate tour time 6:30 a.m. - 5 p.m. Breakfast and lunch is included. A naturalist guide will lead you on a journey into the heart of winter on snowshoes or cross-country skis. You will follow animal tracks in the snow, examine different aspects of winter ecology and enjoy the outstanding beauty of Jackson Hole as it is blanketed in white. 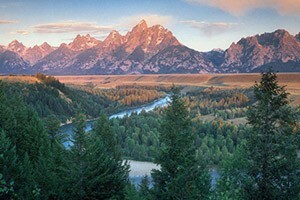 Tours are offered in Grand Teton National Park or in the surrounding National Forest. Tours are available for all ages and abilities. Price includes snowshoe rentals - skis/boots must be rented on your own. 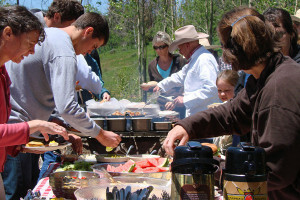 Discounts for parties of 3 or more and for children.